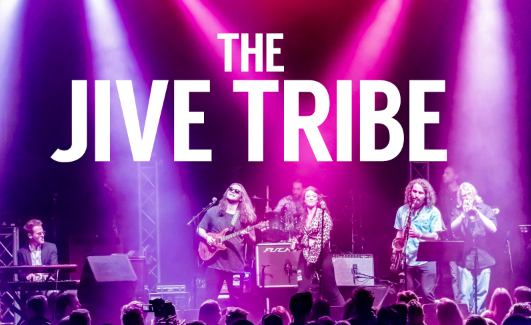 Originating in Denver, Colorado, The Jive Tribe is a band that embodies the spirit, vibe, and attitude of Colorado’s colorful culture. By taking inspiration from a wide variety of different artists and genres, The Jive Tribe has managed to craft a sound and style that is unique and very difficult to describe. Different musical backgrounds, training and performance styles have given the band a unique musical diversity and the ability to combine genres such as Jazz, Funk, Rock, R&B, Soul, Blues, Hip-Hop, and Psychedelia. While the musical diversity is remarkable and exciting, the most important and fundamental part of The Jive Tribe is that we hope to create a place where people of all different shapes, sizes, colors, and beliefs can come together and forget about the stressful world around us and enjoy a common love for music and dancing together.